Armed police arrested the driver of a car that ploughed into a group of cyclists before crashing into a security barrier outside the House of Parliament in London, injuring at least three people. Authorities are treating the incident as a terror act. Various photos made it to social media showing a male suspect wearing a black puffer jacket, being surrounded by officers and being led away in handcuffs from a silver Ford Fiesta. A video also captured the moment of terror as a camera on a nearby rooftop recorded the Ford Fiesta veering left into cyclists who were waiting at traffic lights before hitting pedestrians next. 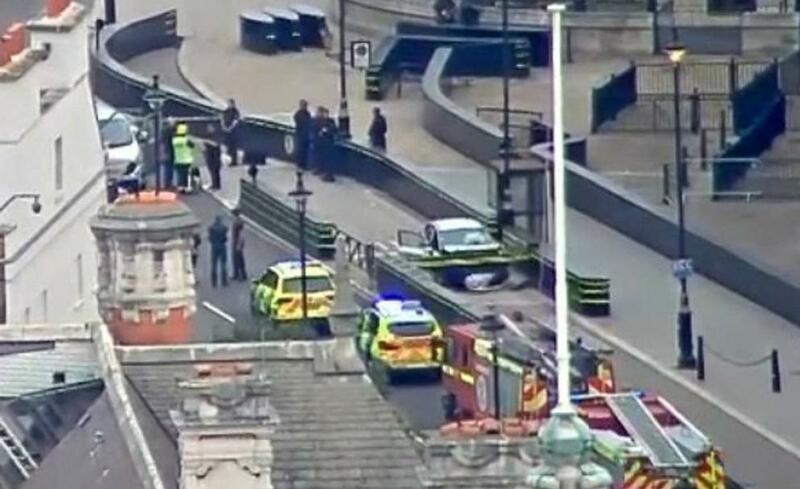 The car only came into a stop after slamming into the barrier just outside the House of Lords. Neil Basu, the Metropolitan Police’s assistant, said the arrested man had not yet been identified and was not giving the authorities his cooperation. The London Ambulance Service (LAS) said two people were taken to hospital, while a third person with minor injuries was checked on the scene. The incident marks the second time that the House of Commons was targeted in a year’s time. On February 5, 1985 Bill and Bob Clark saw a sea serpent in San Francisco Bay.